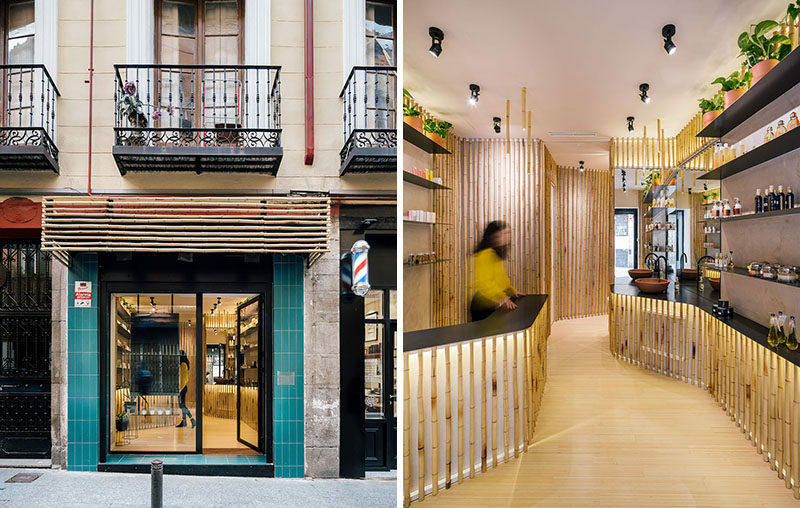 Zooco estudio have completed the Nuilea Spa in Madrid, Spain, and as part of the design, they used bamboo accents to add a natural touch to the interior. 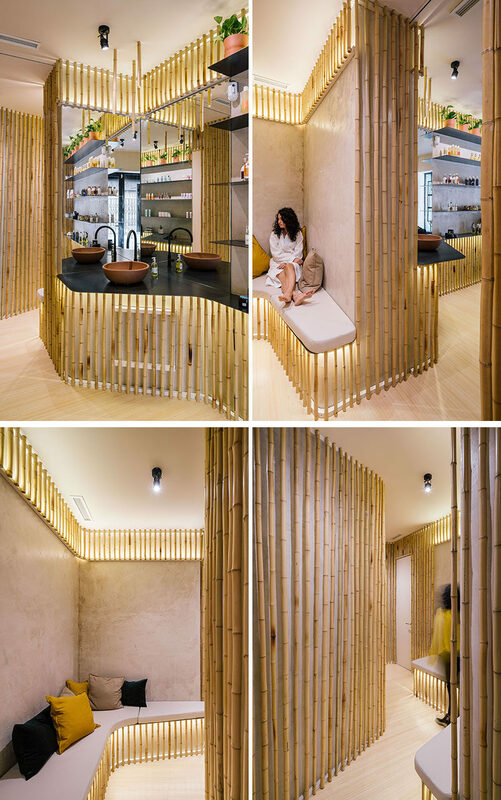 The bamboo accents are visible immediately upon entering the spa, as the bamboo poles, which are backlit, cover the front of the service counter, the treatment rooms, and the hallways. The bamboo has been used to create a cohesive appearance for the spa, and by installing the poles vertically, it makes the interior feel taller, more spacious, and almost like walking through a forest. 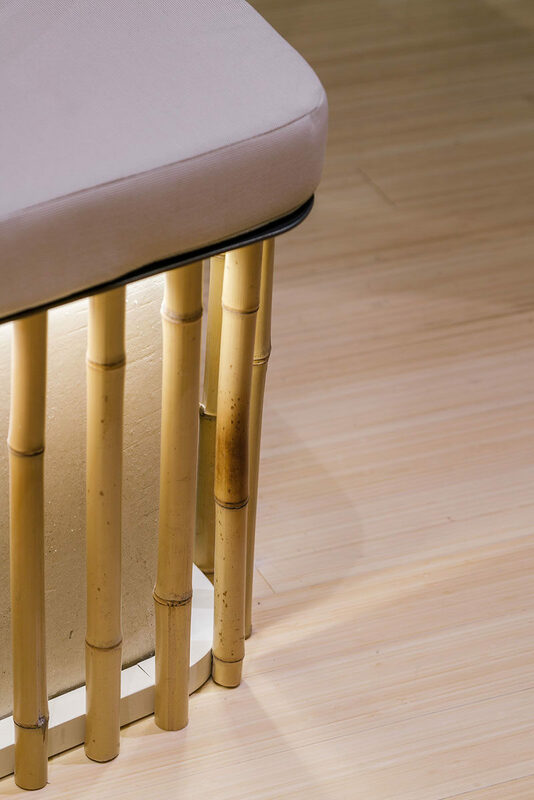 The bamboo has also been used to wrap around the face of the built-in benches, and by having the bamboo backlit, it provides a soft ambient light that helps guests to relax.